He speaks and consults frequently worldwide with a wide variety of international clients, including Microsoft, American Express, Blue Cross/Blue Shield, KPMG, Monsanto, the American Academy of Ophthalmologists, IBM, the North American Newsprint Producers Association, SAP, the BBC, and many more. He is a very dynamic and motivational speaker, recognized worldwide for presentations that involve his signature humor, high-level energy, deep insight and challenging observations, and which are based on extensive research and customization. Jim wakes people up to the trends that will affect them, challenges them to cope with a world that continues to witness constant, dramatic change. Thought provoking, full of energy, up to the minute and timely are just a few of the ways to describe Jim’s presentations. He has the ability to energize people so they can discover opportunities for personal and corporate growth. Each presentation is unique and customized. Clients value the time Jim takes to “know” their industry or profession, their issues and concerns. Some of the recent “hot topics” which Jim has recently covered include: The China price and outsourcing! ; Avoiding market commoditization ; Coping with hyper-change; The Future of Leisure and business travel ;. The future of health care; Skills transformation! The future of activism. He is always taking on very unique and detailed assignments, and provides insight that is specific to your particular industry, concerns, and challenges. 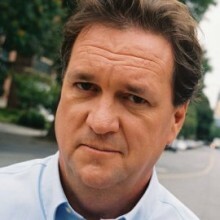 Jim has provided his insight in dozens of books, in over 600 articles, and in over 3,000 interviews on radio, television and in print, including within publication as diverse as Texas Meetings and Events, the South China Morning Post (Hong Kong), American Way, CEO Magazine Hungary and Association LEADERSHIP. Do you want to hire Jim Carroll? Directly request a quote. In 48 hours we can send you the availability of Jim Carroll If you would like to book Jim Carroll, Entertainment Booking Agency is the right place. We will offer you the best price and contact the management or we directly contact Jim Carroll. For corporate appearances or speaking engagements you can contact our agents and the will help you true the process. Tags: hire Jim Carroll, Jim Carroll booking, book Jim Carroll, Jim Carroll appearances, find more information on booking Jim Carroll for appearances, Jim Carroll speaking engagements, Jim Carroll endorsements/spokesperson, Jim Carroll appearance fees, Jim Carroll booking agency contact info, biography of Jim Carroll, Contact an artist booking talent agent find a speakers bureau that can book Jim Carroll, speaker booking agency for Jim Carroll, Jim Carroll booking agency, Jim Carroll booking for corporate event. EBA is one of the biggest entertainment booking agencies in the World. We book hundreds of celebrities, artist, athletes and speakers in a year. Important to know is that we are not claiming to be the management of Jim Carroll. We are not the official agent for Jim Carroll. Companies from around the globe book these artists and speakers true our company be course we have one of the biggest networks and we always have direct contact with the artist or the management. We help you to find the right celebrities for your corporate of private events. Please contact one of our agents to get free advice and we will help to get the world-famous artist on your party.